When I was a boy, I heard of people canning fish and meat for winter, and I always wondered how they did it. Always wondered how a person at home sealed a tin can. 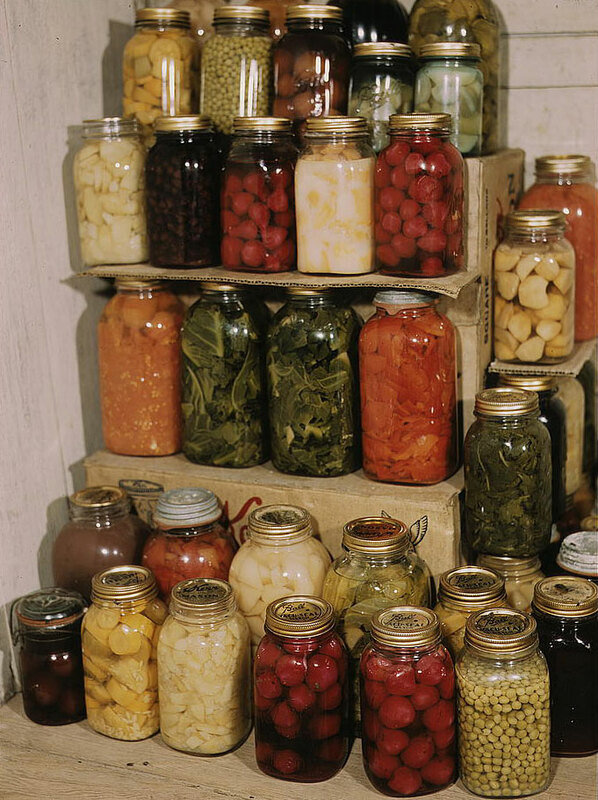 For some reason I never associated our cold packing in bottles with canning. I always thought that canning involved, well cans. 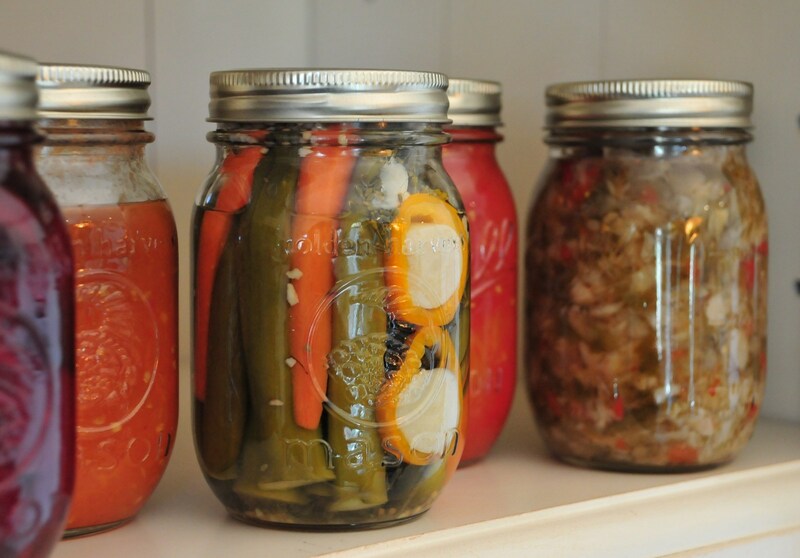 While I’m sure there is some method of doing just that, I since realized that canning is generally referred to bottling or putting up or preserves. This being the hunting and harvesting season, is when we’d generally start to see cold packing happening. Moose, rabbit, apples, damsons, and who knows what else would be prepared for canning. Electricity came to Random Island the year I was born, or at least to my part of it, 1965. Before that to keep food for winter, vegetables were kept in a root cellar, and fish was generally salted. Fruit, berries, and meats though were usually cold packed, and that continues today, more so because we like them that way than because we need to. Besides that we’d also make some pickles. Not pickled cucumber, but more like what we see in stores now as chow chow. There were many kinds, rhubarb (ew), and my favorite green tomato and apple. But cold packing was a big thing. Everyone had a huge boiler that they’d scald the bottles in to sterilize them. Meats would be cut into small pieces, and added to the bottles with some fat back pork. Berries and fruits were generally put in the bottles whole, tho sometimes cut smaller to aid cooking times. The bottles would then be placed back in the boiler to cook the food, with a rubber sealed lid placed on lightly. Once cooked, the bottles would be placed on a rack to cool, and the contraction/cooling process would create a vacuum with the lid, sealing the bottle. A screw top ring would be added to keep it tight. These bottles would then be used as meals throughout the winter, though in my time, they became more of a dessert or in the case of meats, something to augment the traditional Sunday evening cold plate. Now I’m hungry, anyone got a bottle of moose to send me for supper? Traipsin over the Goowhitty Happy Thanksgiving! I still do up beets and pickles. Not sure if I still do them because I love them, or if it is just my was of keeping in touch with the past. I do have a bottle of moose in the cupboard but you’re too far away for now.! Maybe a bit of both? They are delicious for sure. I do get a little taste every now and then, my buddy sends me up a couple bottles every year. So good.